When one seeks God alone, one makes no mistake. Be cheerful and courageous. Put all your confidence in God. He will be your light, your strength. Count on Him and nothing will be lacking unto you. Try to make your happiness together by your good accord…. Do all for the love of God. May the Blessed Virgin be your model in all your actions. Seek God alone in your actions. May he be your aim in all that you do and He will be your recompense. When you convert one single soul, it is more precious than all the riches of the world. Nothing is lost that is done for God. Go slowly but never turn back. May charity be your rule and gentleness the lot of your dear brothers and sisters. Let us confide in God in spite of our sins. This confidence must be founded on our misery, on our needs, on the merits of our divine Saviour whose mercy is infinite. Bring up your children well, so that the parents may be content; love them, they will love you and you will make them what you will. Important works lie open to us. If it is God who calls us, we cannot hold back. Only, we must fear to undertake the change. Love one another, mutually pardon each other your little defects; forestall all that can give you pleasure; trials become sweet when they are shared. Constancy, patience – contentment will follow. If God and Religions are not the beginning and the end of our actions, we labour in vain and we have no merit in God’s sight. It is important for us all to be well penetrated with this truth. I desire that you make every effort to live in a good relationship, for the greater glory of God and the salvation of the neighbour. My God, how happy we are when we have patience and nothing worries us! Let us love the poor, console them, instruct the youth, teach them the duties they must fulfil towards God and their neighbour. Let us have a noble and generous soul; let us not stoop to trivialities. Be firm to correct the least defects, but kind and indulgent to those weaknesses in which the heart is not involved. I have few small difficulties, but they are necessary for me, so I accept them with gratitude. How easy it is to be deceived; one often believes that one is not able, while it is that one is not willing. God is with us. He will not leave us alone. Be united and we will be very strong. Let us reflect. Think of what God promises to those who are faithful to Him. I have begun by saying that we desire only one thing – to do the Will of God. To accomplish this, we will be able to overcome all difficulties. Let us try to make good use of the graces that the good God grants us. God dwells where peace reigns. To preserve this, we must not fear to sacrifice self-love which is the enemy of peace. Let us have but one heart and one soul which belong to God alone. Help each other mutually. Unity makes strength. Without this union, individuals are threatened with ruin. 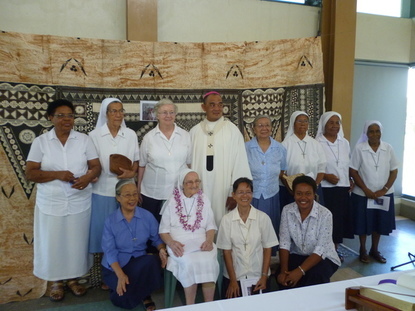 Welcome to our Province which has missions in New Zealand, Fiji Islands, Cook Islands and The Philippines. 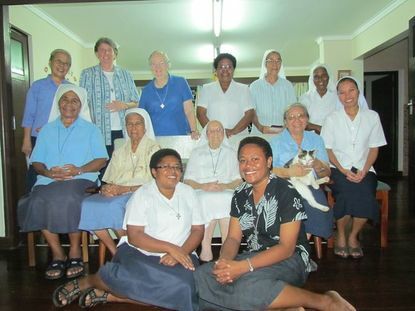 We are a group of Catholic Religious Sisters who dedicate our lives to “doing a little good” in the places where we are missioned. 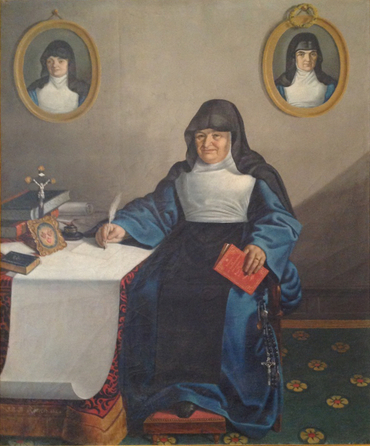 We follow in the footsteps of our Foundress Blessed Anne Marie Javouhey whose vision was based on LIBERATION. She did this through Education, Nursing, Caring for Orphans, Pastoral Work of any kind. Her motto was “The Holy Will of God”. We all strive to live this Charism to the full in the places where we live and work. The Sisters of St Joseph of Cluny, founded in France in 1807, by Anne Marie Javouhey, are a religious order of the Roman Catholic Church. 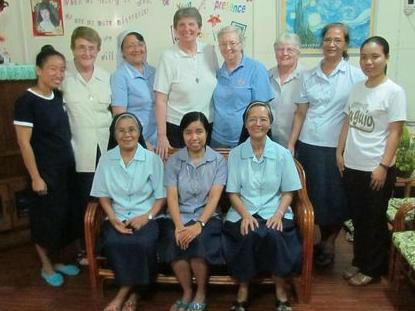 As Sisters of St Joseph of Cluny, we participate in the mission of the universal Church. This mission is carried out in the context of particular local churches, according to the culture and the needs of the people of the different countries where the Church is situated. In all our work, we strive to reach out to people in need, to help them to a fuller dignity, and to bring them the hope of the gospel of Jesus Christ. As an international group with members from many different cultures, we are particularly careful to promote respect and consideration for all, irrespective of culture or creed. As Sisters of St Joseph of Cluny, we are part of a world-wide congregation, under the overall leadership of the Superior General who resides at 21 Rue Mechain, 7514 Paris, France. Our religious congregation in divided into provinces, arranged according to geographical area and language. The New Zealand province encompasses the fur countries of New Zealand, Fiji Islands, Cook Islands and the Philippines. The headquarters of the province are located at 21 Thirteenth Avenue, Tauranga 3112, New Zealand. 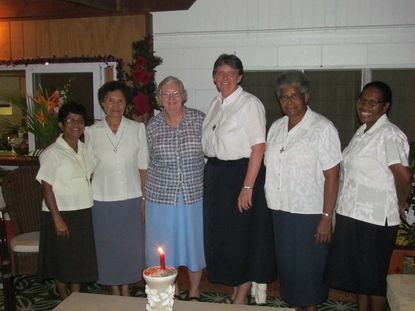 The activities of the Sisters are co-ordinated by the Provincial Superior, more often referred to as the Provincial Leader. 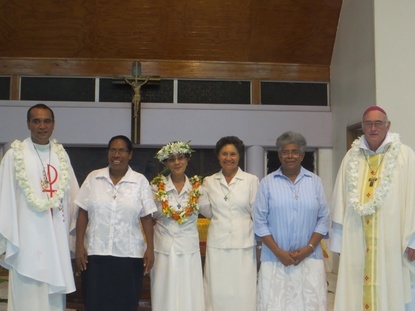 She is appointed by the Superior General and her Council, after consultation with the Sisters of the province. 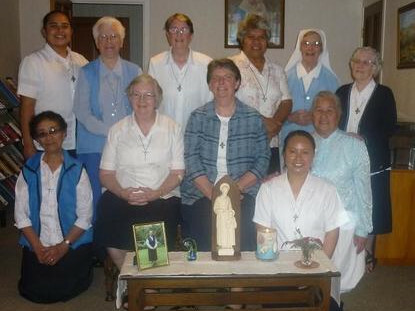 The Provincial Leader keeps in close touch with the Sisters of the province and visits each community at least once every year.